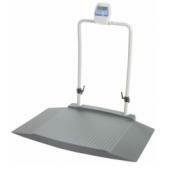 Doran Medical Scales are built with quality and performance. Over 30 years ago, Doran Scales, Inc. created the Digital Electronic Washdown Safe Scale market. The Doran product line, for the first time, solved the need of food processors who required a durable, yet accurate scale to assist in portioning and packaging product. Likewise, the Doran Medical lineup from Central Carolina Scale provides a durable and reliable solution for the medical field. 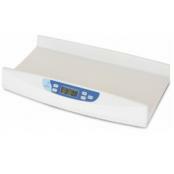 Choose either the digital physician scale or the mechanical physician scale, either way you'll be purchasing a Doran Medical scale with unique features designed to protect your patient's health and reduce errors. Doran Scales is the one you can count on to provide accurate information for your pediatric patients. 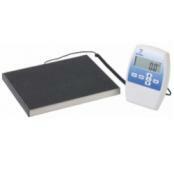 The digital baby scales are available in several different configurations. 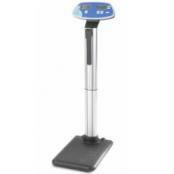 Accuracy, patient safety, and portability have all been engineered into Doran's digital handrail scale. The ultimate in versatility and portability, the Doran wheelchair scale can be also be used as a handrail or bariatric scale. 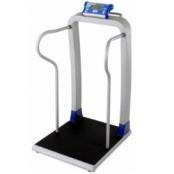 Doran Medical DS2100 Mechanical Physician Scale Capability without complexity describes the Doran Medical DS2100 mechanical beam scale. This scale provides an easier way to measure height and weight of patients in a hospital, medical ofﬁce, school or healthcare facility. The DS2100 has a weighing capacity of 450 lbs. Includes wheels and height rod. 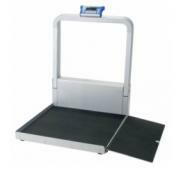 Doran Medical DS7100 Handrail ScaleAccuracy, patient safety, and portability have all been engineered into the Doran DS7100 Handrail Scale. 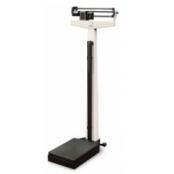 Moving the scale from room to room takes very little effort, as the scale only weighs 30 pounds. Simply tilt the scale back on the two built-in, non-marking wheels and roll the scale to its new destination.